Honor plays a big role in Red Dead Redemption 2, and this guide will show you how to quickly increase your own Honor level. 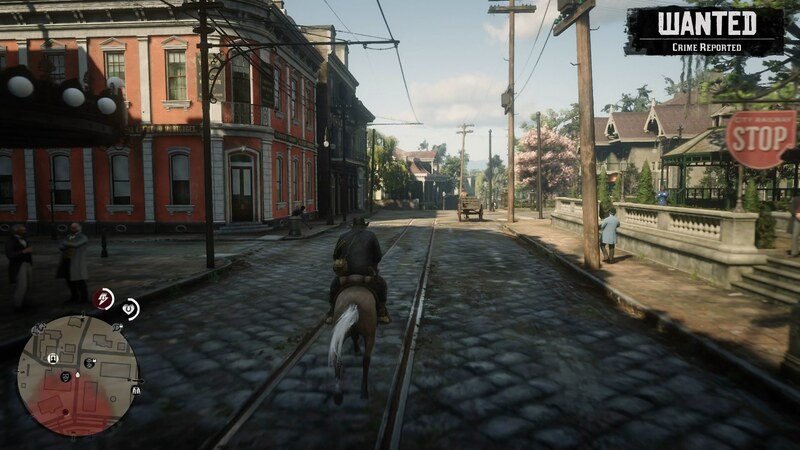 An Honor system featured in the original Red Dead Redemption 2, and it's made a return for Rockstar's prequel. In this Red Dead Redemption 2 Honor guide, we'll be walking you through how to increase your Honor level in Red Dead Redemption 2, as well as how you can decrease it. If you need help with any other areas of Rockstar’s wild west prequel however, you’ll want to check out our Red Dead Redemption 2 guides hub. It’s on this page that you can find a complete beginner’s guide to Arthur Morgan’s adventure, as well as a full index of our additional guides on various other areas of the game. What is Honor in Red Dead Redemption 2? Honor in Red Dead Redemption 2 is essentially how good you are as a person. Being good in the Wild West isn't easy, with opportunities around every corner to do something bad, but in this RDR2 Honor Guide we'll explain what benefits there are to being good and inreasing your honor level. Once you’ve set up and established your very first camp in Red Dead Redemption 2, the first section of the map will open up to you, and Arthur Morgan will began smack bang in the middle of the morality scale. As we mentioned previously, this system returns from the original Red Dead Redemption, and there aren’t a whole lot of changes. Firstly, your Honor won’t be affected through story missions. Instead, your morality level in Red Dead Redemption 2 will mostly be affected by your actions out in the open world. For example if you rob a store owner at gunpoint your Honor level will obviously take a bit of a dive, but if you stop to help a Stranger in need, it can rise. Stranger encounters are represented on your mini map by a white dot, and they’re nearly always randomized. If you ride past a Stranger and ignore them your morality level won’t be hurt, but there’s no guarantee they’ll still be there if you come back later. If you stop to attend to the needs of a Stranger, you’ll have the opportunity to either do the right thing and have your morality level rise, or be a bad cowboy and have your morality level fall. For example, we encountered a lost traveler in the early hours of Red Dead Redemption 2. We had two options here: point him in the direction of Valentine, the local town, or mislead him for the hell of it. This is an example of how Arthur Morgan always has the chance to do the right thing during a Stranger encounter, and have his Honor level rise accordingly. But there's other, smaller details that can impact your Honor rating in Red Dead Redemption 2. If you store smaller fish in your satchel, it can hurt your Honor rating, as can killing animals with multiple shots, instead of putting them down with a single bullet in a mercy killing. Just below, we've rounded up a complete list of the Honor tiers at which you'll gain some sort of reward. Keep in mind that although the Honor scale ranged from -8 at the worst to +8 at the best, these are the levels at which you'll see some sort of bonus. Honor -1 - Increased drop rate from dead bodies for the following items: Deadeye tonic, alcohol, tobacco, and thrown weapons. Honor +1 - Increased drop rate from dead bodies for the following items: tonics, valuables, and food. Honor +2 - 10% discounts from shops. Honor +3 - Unlocks the following outfits: the Bulldogger, the Chevalier, the Corson, the Cumberland, the Cowpuncher, the Roscoe, and the Valentine. Honor +5 - 25% discounts from shops. Honor +6 - Unlocks the following outfits: the Deuville, the Drifter, the Dewberry Creek, the Farrier, and the Gambler. Honor +7 - 50% discount from shops. Now that we’re wrapped up with this guide on the morality system of Red Dead Redemption 2, you can check out our other guides on Rockstar’s huge game. Now you can head over to our page on how to earn money quickly in Red Dead Redemption 2, or our full Red Dead Redemption 2 map guide for more.